Would you know if your cloud had been hijacked? The benefits of cloud computing have been extensively documented, but what isn’t discussed as much is the growing opportunity for cyber attacks that cloud environments create. The majority of cloud storage providers house vast amounts of data in centralised, multi-tenanted cloud environments. This is great for business efficiency because it allows multiple users to access cloud data across numerous different devices and platforms. However, this approach isn’t without risks and being aware of what they are is extremely important for any business looking to embrace the power of the cloud. Cloud account hijacking is a growing phenomenon that occurs when an organisation or individual’s cloud account is accessed by a third party without permission, usually with malicious intent. Attacks of this nature are becoming increasingly commonplace in identity theft schemes, with criminals using the stolen account details to conduct fraudulent activity. However, what’s concerning is that more sophisticated cloud hijackers don’t even need a username or password to gain access to the account. Instead, they are using malicious attachments in emails or browser extensions to gain access to the account’s authentication token. Once in, they are able to pose as the legitimate account owner whilst simultaneously conducting a wide range of damaging activities such as stealing sensitive data, spreading malicious code or even sending traffic to counterfeit websites. The risks are definitely real. Cloud account hijacking can be particularly devastating at an enterprise level, depending on how attackers use the information they steal, or what else they get up to whilst in the account. Obvious concerns are the leaking or destruction of sensitive company IP. However, the reputational damage caused by actions such as redirected web traffic to fraudulent websites or spamming customer bases with phishing attacks could be catastrophic. Additional legal implications and regulatory fines are also a very real concern for businesses in highly regulated industries, such as healthcare and finance, particularly if confidential stock market or patient data is exposed, for example. What can businesses do to make their cloud accounts more secure? Businesses must also take proactive steps when choosing a new cloud service provider, and prioritise security alongside other key factors such as ease of use and scalability. One important step is to compare the cloud security and data-integrity systems of different cloud service providers within their contracts. Companies are well within their rights to examine the number of data loss or interference incidents a cloud service has experienced in the past. It is extremely prudent to know who you are going into business with. How often do they experiences downtime? How do they monitor and manage vulnerabilities? Do they allow clients to audit the performance in any of these areas? All of these are important questions that businesses should do their best to find the answers to before signing on any dotted lines. Security platforms that extend to both the cloud and mobile devices will further bolster security. The ability to control or block risky data activity based on behavioural and contextual factors all add further security layers. Additional capabilities to look out for include end-to-end encryption, application control and continuous data monitoring. As the threat of cloud account hijacking continues to grow, a data-aware approach to security has become more important than ever. Cloud computing may well be the business model of the future, but organisations who want to capitalise on its many benefits would also do well to verse themselves in its risks and how to effectively mitigate them. Next articleIs the Fintech Revolution being held back by regulatory hurdles? 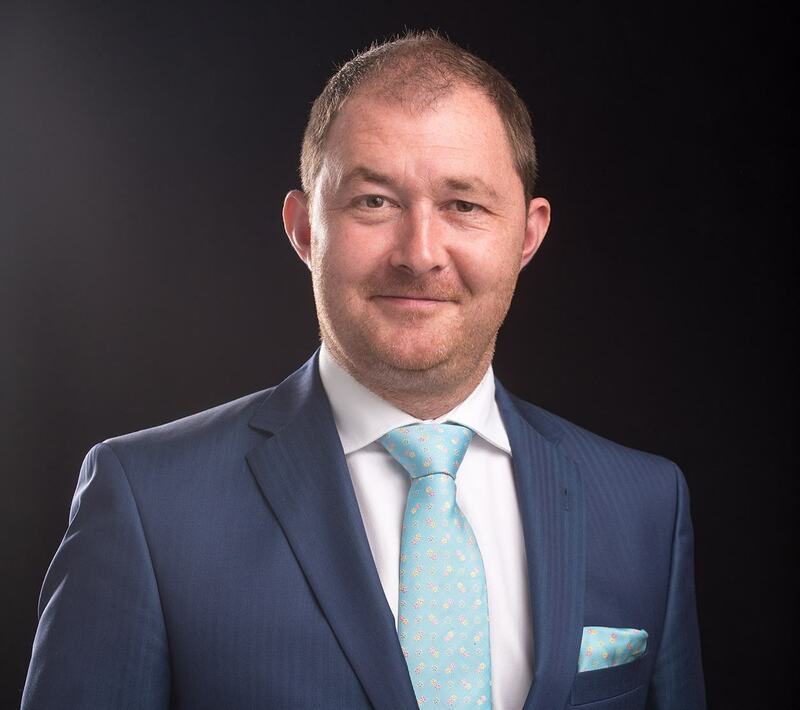 Luke Brown, Vice President & General Manager, EMEA, India & Latam, Digital Guardian With over 15 years experience in the security industry, Luke is a highly experienced senior executive with an extensive record of success in both emerging and mature markets. He is responsible for consolidating and expanding Digital Guardian’s business throughout EMEA, India and Latin America, driving strategy and overseeing operations in both regions. Luke has held senior leadership roles in a number of start-ups and publicly traded organisations around the world. He has a proven track record for delivering record revenue growth, increasing operational efficiency and improving employee development. Luke’s previous roles have included SVP & GM, EMEA, APAC, LATAM & Canada, for Access Data, where he grew revenues by 200 per cent in his three year tenure, and VP International Operations at eEye Digital Security, where he oversaw a 500 per cent increase in revenues in just two years. Luke is a passionate entrepreneur and advises startups and investment groups in his spare time. He has four children and enjoys the theatre and clay pigeon shooting.